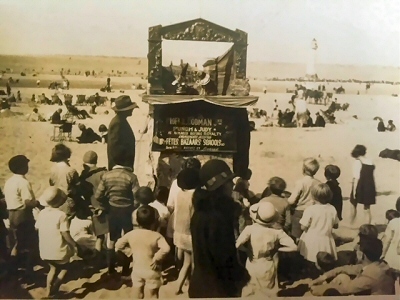 The Punch & Judy Show, a British Icon, has always been popular in schools for end of term parties and annual fun days. 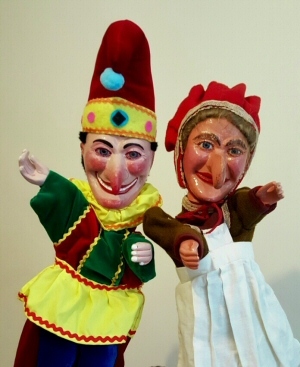 Currently, in term time David is finding that many teachers find that a Punch and Judy workshop, an illustrated talk, performance and question session, forms a stimulating topic for their pupils, fitting in neatly with Victorian studies and The Seaside (Key Stage 1). 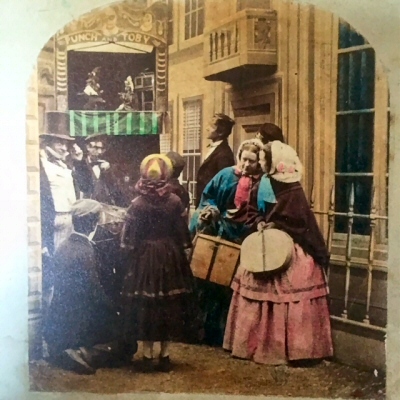 David can talk knowledgeably on the Punch story, how the character emerged first as a string puppet in 17th Century London, as observed by Samuel Pepys, and in Victorian Times became a street entertainment as a glove puppet. Then, with the emerging popularity and growth of the coastal resorts, Mr. Punch followed the crowds to the seaside. David can vary the amount of detail with the age range and response of the children, but always reinforces the message with his stunning performance. He can also provide puppets, of historical significance, which the children are allowed to handle, and a final question and answer session is often highly productive. 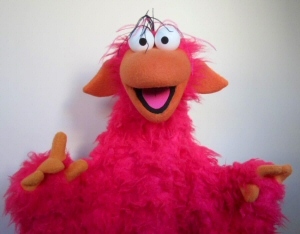 Also, as an avid collector of various kinds of puppet, David can bring a selection of puppets to inspire a class who are studying puppets as toys and give them some ideas about making their own puppets. 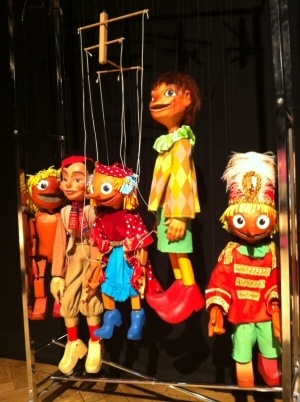 Punch & Judy figures are of course glove puppets, but in the collection are ventriloquist's dummies, rod puppets, Marionettes on strings etc. Need more information about Punch in School?